Easter is the holiest day in the Christian calendar, the most glorious and joyous Christian festival. It is called the Feast of Feasts and the Triumph of Triumphs. It is a time to rejoice and celebrate the resurrection of Jesus Christ. The feast was established by the apostles. Starting from the apostolic era, the Easter greetings: 'Christ is arisen!' – "(He is) risen indeed!" - are handed down from age to age. Since the 19th century when postcards began, greeting cards have given us the opportunity to reach out to our friends and family and to send out these words for them for Happy Easter! In this country, some of the first Easter picture cards appeared in 1898. They showed four spring scenes produced by the notable Russian watercolorist and writer N.N. Karazin. 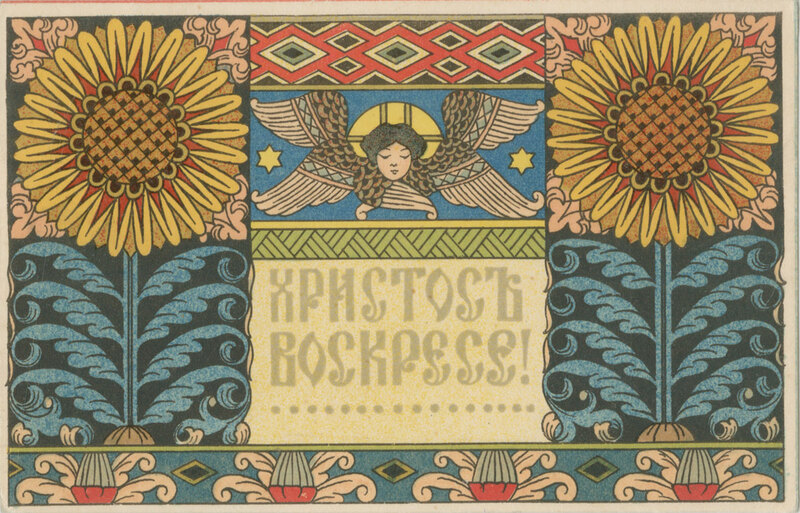 These ealiest Easter postcards were printed by the Community of St. Eugenia, a publishing house and a subsection of the St. Petersburg Committee of the Red Cross. 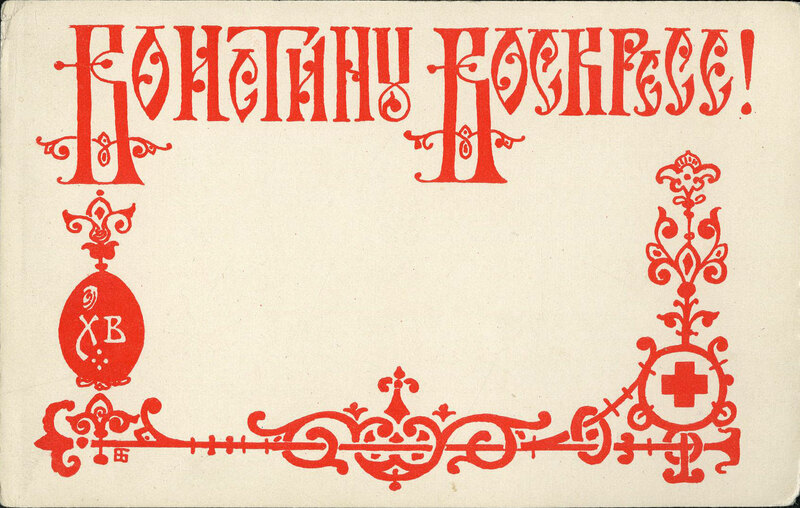 This publishing company which was regarded as the best and most successful in Russia gave birth to the picture postcards. 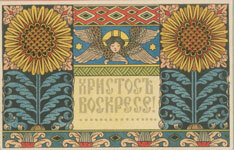 Many notable artists, including I.Bilibin and F.Bernstam, V.Zarubin and I.Smukrovich, N.Pimonenko and E.Boehm, designed St. Eugenia's Easter cards. 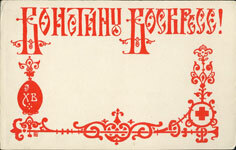 Other publishers also reproduced art works by skillful Russian illustrator on multy-coloured Easter postcards: among them were leading postcard publishing companies like Richard (Saint Petersburg), Granberg (Stockholm) and Lenz and Rudolf (Riga), working in various cities of the Russian Empire, as well as abroad. 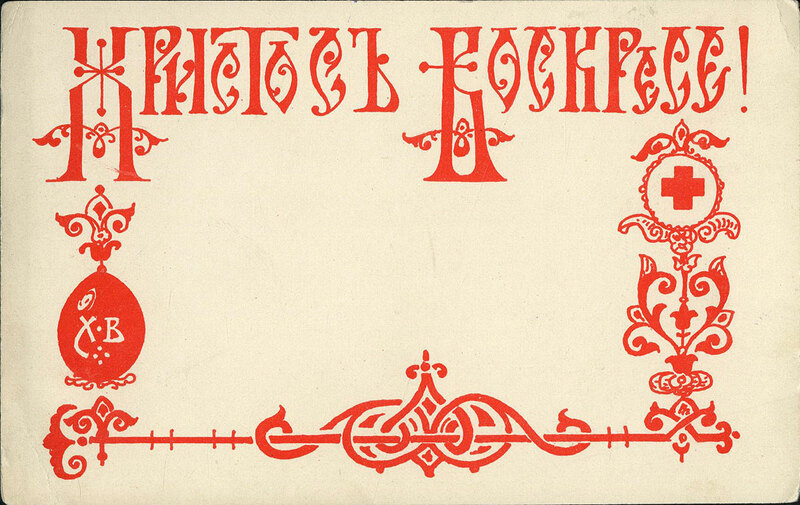 Soon after the October Revolution of 1917, Easter postcards went out of use in the new Soviet socity, but they continued to exist in the midst of the Russian diaspora. 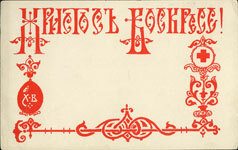 Starting in 1991, Russian publishers recommenced printing Easter postcards after years. The early 20th century postcards prove that artists can offer a variety of memorable images to viewers, using a limited set of motifs. Everybody who will view 80 exhibits at our online exhibition, will notice that they are all talking about the celebration indirectly, through customs associated with it. As far back as 1900, the Holy Synod rendered a decision on the «ban against sacred images on printed Easter open letters», since the use of these publications would contradict the Christian sense of awe. 'Is it possible to place the image of the face of Christ or Our Lady on an open letter? Everyone understands that even if not the face of the Lord, but simply – your portrait was stained by stamps, then you would feel hurt', – Archbishop Nikon (Rozhdestvensky) wrote later, in 1911, in the article «A few words about the "little things"».